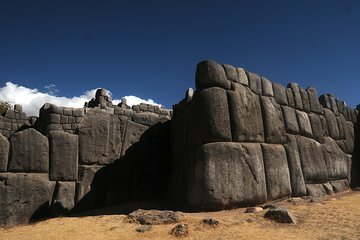 Ontvang een uitgebreide rondleiding door de belangrijkste Inca-plaatsen rond Cusco tijdens deze excursie van een halve dag. Bezoek alle hoogtepunten en bezienswaardigheden, waaronder Tambomachay, Puccpucara, Quenqo, Sacsayuaman en Koricancha. Hotel pick-up en drop-off beschikbaar afhankelijk van de locatie; reis via een bus met airconditioning. A great, knowledgeable guide , who took the time for English speakers. Interesting sites to see and explore. Great half day city tour that served as an introduction to this magical City. The tour guide was on time, knowledgeable and friendly. We particularly enjoyed the nearby ruins. Recommended. The tourist tickets required in Cusco are a bit confusing. I purchased the 10 day ticket expecting that it would cover everything but it didn't and I still had to buy entry into some of the sites visited. The tour did not start on time as the guide was half an hour late and we waited for some other people. The tour apart from that was excellent and tiring and the guide was excellent. Really good tour! The guide was great at moving people along promptly so make sure we reached all locations before dark. It was a little hard to find our meeting point because the guide was a bit late, but that's my only real issue with this. We were concerned we were in the wrong place or had missed the tour. I didn't give this tour 5 stars because we were sold to another agency. We were not contacted the night before about pick-up or anything and we had to call Viator to call the local tour operator. The tour guide we had was very excellent and he has a lot of knowledge to share. I just wish we were told earlier than we would be going with a different agency and we were contacted the night before about the pick-up time. dropped at city center but had to wait more than 20 min. in the heat before the tour started. Unorganized.if there was Viator flag or representative who speaks English would have eliminated confusion. Person who picked us didn't speak any English.. Finally some body called our name and tour started. Tour itself was good. Marco was informative and fun. Wish web site clearly shows the entrance fees. Spent over 30 for entrance fee. I think it would have been much better than I am going to write here. Reason being, I got altitude sickness half way through the tour and ended up fainting. The tour guide and multiple other people including the driver of the bus took good care of me but I was stuck on the bus for the remainder of the tour until dropped off at hotel hours later. Not their fault just the circumstances. I did however enjoy the tourprior to getting sick. Tour guide knowledgeable. It felt somewhat rushed at the beginning and abit confusing trying to find the start up point. I would recommend the tour but make sure you are acclimitized to altitude before starting any tours. Good organization and great guide. Fantastic views. Although affordable, some clarity beforehand on price of entrance fee to the park would have helped, and to ensure I brought along Soles to pay since foreign currency not acceptable. Opportunity to see the heart of Cusco and get up close to many Incan ruins. Amazing history with a very informative tour guide.